There are a lot of reasons for Long Islanders to love their towns—we have many great school districts, a ton of delicious restaurants, beautiful beaches, and all sorts of fun things to do all year long. When the weather gets a little warmer, many of the towns also start to celebrate with annual street fairs. From Northport’s Cow Harbor Day to Greenport’s Maritime Festival, these fairs make a great way to have some fun and celebrate our hometowns. All sorts of attractions come to street fairs, including food trucks, artisans, painters, craft-makers, vendors, festival rides and games, entertainers, and many other representatives from our local businesses. 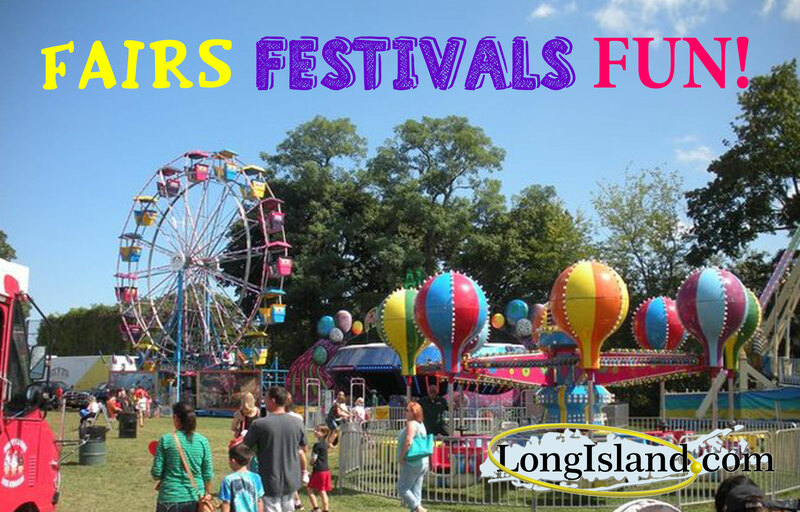 If you’re looking for a great way to have some fun in your own backyard then spending a day at your town’s Main Street festival is a great way to do it and, of course, you can always go to one of the many other fairs all over Long Island as well! We'll be adding more Main Street Day Events & Festivals as they're announced! Coming Soon! Peconic Quilt Show "Peace by Piece"
June 15th-16th Sag Harbor's "Whale of a Sale"
Coming Soon! Tanger Outlets' Famous Food Festival "Taste the World"